Truth in Marketing - Tips to Keep Your Small Business Honest Mischa Communications, Inc. Promoting your small business is a vital part of your job. If no one’s willing to buy what you’re selling, you’re sunk. But while you should never sell yourself short, some small business owners get so caught up in marketing themselves that they make themselves look a bit taller than they really are. While stretching the truth may seem like a quick way to get new business through your door, fibs don’t earn you long-term customers. Honesty really is the best policy, so here are some tips to keep the truth in marketing your small business. Here’s the deal with over-the-top assertions: They’re rarely true — and your audience knows it. Talking yourself up is one thing, but making claims you can’t back up can damage your credibility. Unless you’ve actually won an award, you’re not “award-winning.” (Of course, if you have, by all means, publicize it!) If the world at large hasn’t voted your product “the best of” something, don’t claim that it is. Superlatives might bring customers in the door, but like Subway’s “11-inch footlong” scandal, the truth will eventually come back to bite you. Allow your product or service to live on its own merit. You may not be the “best” – and that’s okay! Focus on being the best you can be, rather than making unsubstantiated claims. As a nation, we’re in love with instant gratification. We need our lawns mowed, our pools cleaned and our products shipped right now. And if Company A can’t do that for us, we’ll move onto Company B. Unfortunately, this often leads Company A to be a little less than honest about potential turnaround times. We get it. In the service industry especially, time is money. However, promising someone a deliverable will be ready by 3 p.m. on Thursday and not handing it over until next Tuesday isn’t going to earn you much in the way of repeat business. Whether you’re booking an appointment or talking to your customers about when their items will ship, be honest (with them and yourself) about your timeframe and current workload. Consistently delivering on your promises will earn your personal brand a great reputation. Mistakes happen. It’s a part of life and a part of running a small business, and how you handle a snafu says a lot about your ethics as an owner. Whether you’ve missed a promised ship date, overbooked your restaurant during dinner service or left a client waiting for too long, own up to your mistake truthfully and do what you can to make it right. Excuses are a dime a dozen, but an honest apology is priceless. Truth in advertising is more than a law (although it definitely is a law!). It’s a philosophy, a personal edict to run your small business with integrity, and your customers will recognize and appreciate your honesty. At Mischa Communications, we won’t help you stretch the truth, but we will help you stretch your marketing dollars! 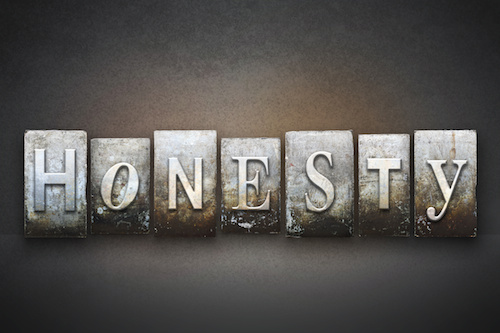 Drop us a line and let us show you why honesty really is the best policy for your small business.